In simplicity and serene quality, Buff Beauty Bar stands out across nail salons in New Orleans LA. The place exudes of quality, excellence and elegance in one nail joint. Buff Beauty Bar nail packages ranges from as lows as $10 to as high as $50. Other salon services are hair styling, facial peels, makeup, waxing services, eyelash extensions, blowouts and hairstyling. Buff Beauty Bar only uses the most highly demanded salon product lines. 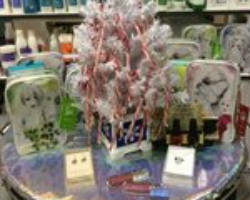 To name some are Julie Hewett Cosmetics, Morroccanoil, Dr. Dennis Gross and Spa Ritual. For a simple bridal getaway, April Spa Nails offers a place to pamper and spoil your nails. The nail art forms and design here are really exciting and cool. Choose from a long list of great great packages on manicures, pedicures, sculptured nails, foot massage and leg waxing, both for men and women to enjoy. There are classic products and organic inspired brands. Reviews has already acclaimed April Spa Nails as a top nail spa in New Orleans, who has already served celebrities, movie stars and members of the local NBA team. Fancy Nails & Spa is a fresh and new fangled nail salon at the heart of Louisiana. 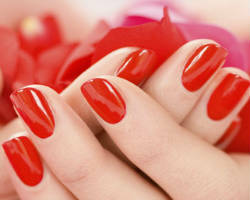 Join a new side to creating beautiful nails with a full arrange of deals on nail care and waxing services. Guests are given primal choices on manicure, pedicure and waxing service for lighter skin. Get timely and cheaper treats at Fancy Nails, the one-stop shop of nail arts and design for birthdays, parties and weddings. The salon also takes pride on a complete sanitation process to protect customers. 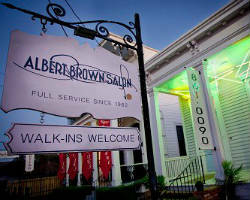 The Albert Brown Salon is a family business that has been a favorite hot spot for basic salon and spa needs from 50 years ago at uptown. More magazines and major motion pictures have favored this wonderful place as a top bridal, debutants and queen’s choice of the city. Albert Brown Salon also takes prides of selling classic vintage, antique costume jewelry together with new jewelries, scarves, duffel bags and Saints bags. Owner, Albert Brown is an awarded hair stylists for Mardi Gras balls, debutantes and weddings, adding a “Get near me!” sign on every irresistible masterwork. New Orleans Athletic Club (NOAC) was opened 1872, being the 2nd oldest local health club of the country. Inside this historical place, you can find Le Salon as a full-service salon for men and women, whether visiting or a local patron of New Orleans. 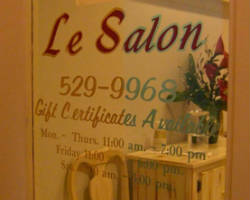 Le Salon features basic as well as organic manicures, pedicures, massages and other treatments your body needs. The place is also a favorite hangout in celebrities, doctors, lawyers, poets, actors, musicians and athletes. NOAC has a calm and architectural significance for guests while they enjoy using its modern workout facilities and equipment. Lux was opened by Erin Peacock, its owner, during the spring of 2006. You can find a small and comforting place for relaxation, beauty and complete body care at this prime New Orleans nail salon. Services may cover Lux manicures, pedicures, waxing, hair styles, hair cut and coloring treatments. Brides and grooms may contact Lux for bridal parties and groups. With the minimalistic interior design of the place, Lux instills a goal of offering guests with a welcoming mood for everyone. That is why there are long term relationships with customers. Paris Parker Salons and Spas follow a mantra: “be your best self, live your best life.” Being an Aveda concept salon, today, the hippest salon joint has strategic locations across the state like New Orleans, Hammond, Mandeville and Baton Rouge. Optimal services range from hair cuts, color, facials, massage, body wraps, highlights and waxing, manicures and pedicures. Enjoy deals on Caribbean therapy, Chakra Balancing Reflexology and the Green Science system. For life’s juiciest and sweetest treats, drop by Paris Parker Salons and Spas to receive loads of sales and discounts in cheap prices around. With its first opening in 2006, My Spa By The Park functions as a full service hair salon and day spa, specializing on nail spa therapy, hair salon together with massage and skin care. Other packages range in facials, waxing, yoga and a boutique. Spoil your whole body to a treat. Relax your mind, body and spirit at My Spa By The Park in Lakeview. One of the great deals is the Callus Peel Pedicure Treatment, where your feet is soaked in a meticulous callus conditioning treatment or bathe in aromas that lasts for 50 minutes. Hats Off Salon is an elegant hair and nail salon amongst nail salons at New Orleans. Each guest to walk inside its doors is given 100% excellence in customer service. For the best bridal makeover, Hats Off Salon offers bridal hair services and bridal party hair styling with the basic nail styling packages. The wonderful place subsists in a friendly environment and a team of professional hair styling connoisseurs, today. Only top quality services are availed at Hats Off Salon.